Start your review of Shane Hrehirchek. Hey, I'm Shane! Although I'm relatively new to the dealership environment, I have been passionate about anything and everything automotive since I was knee high to a grasshopper. Don't hesitate to reach out to see how we can accessorize your vehicle anytime! Send a message to Shane Hrehirchek. Thank You! 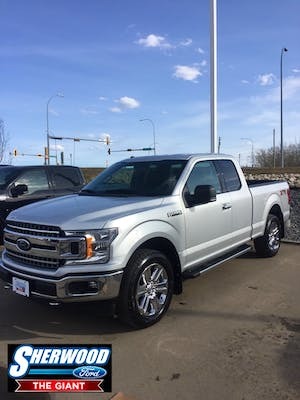 Your message has been sent to Shane Hrehirchek at Sherwood Ford. Other Employees Tagged: Esky Habtegebreal, Hanny Kabbani, Cory Ostafichuk , Cory was a great help as well in making me happy. There was a slight delay in having the truck ready but Cory eased my stress with complimentary accessory. Which made me feel like a valued customer.